Completely set up for Bahamas crossing and cruising the islands ( spent over 63 days May-July 2010, 4 people), all new safety equipment(2010), including auto inflating 4/6 man life raft. Dodger, Bimini and extra cockpit canvas cover. 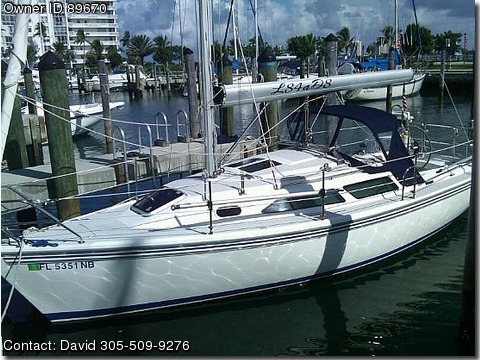 2 Anchors, Aft Cabin, Coast Guard Pack (registered for easy Customs clearance), Compass, Shore Power, Hot & Cold Water, Full electronics package, New 2010 Garmin GPS w/G-2 Chip & Enhanced Bahamas 3-D, Depth, Wind and AutoHelm.